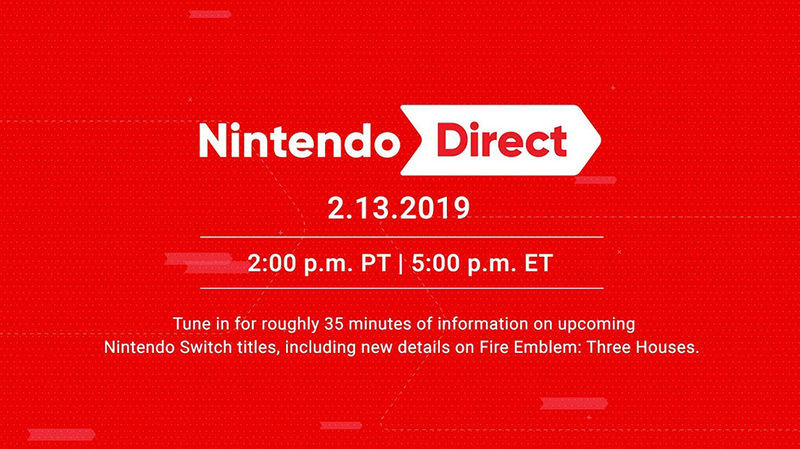 Although official details on the Direct’s content are somewhat scarce, Nintendo has confirmed that the presentation will include information on the upcoming Fire Emblem title – Three Houses. A selection of other upcoming Nintendo Switch titles will also be showcased, although it’s currently unclear which games those may be. While fans have been eagerly awaiting the next Nintendo Direct, a whole host of possible leaks have emerged across the internet. With titles like Assassin’s Creed Compilation / AC II Remaster and Witcher 3 popping up on retailer and distributor websites during the past few months, Feb 13th might be the date that fans finally learn the truth behind the rumours. Potential evidence of additional emulators for Nintendo Switch Online was also uncovered by dataminers in January. One of the most prominent theories at the time was that SNES titles could be joining the current NES library for subscribers. If this is the case, then the upcoming Direct would certainly be an ideal place to showcase the new feature. In addition to rumours, there are plenty of already confirmed first-party (and second-party) titles that are still awaiting either official footage or a release date. Meaning titles such as Luigi’s Mansion 3, Animal Crossing Switch, TOWN, Pokemon 2019, and Daemon X Machina could all very well surface during the upcoming Nintendo Direct. Whatever Nintendo’s latest presentation may hold, it’s sure to be one to watch. So don’t forget to tune in on February 13th at 2pm PT / 5pm ET / 10pm GMT / 11pm CET.